The perfect gift for that hard to please golfer in your life. 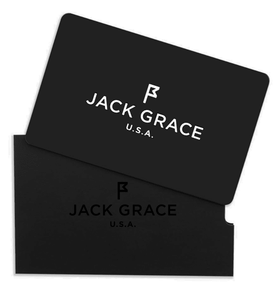 Our gift cards are delivered in a premium box with a copy of the Jack Grace product Catalog. Gift cards are mailed using standard mail.ξ Gift card codes will also be delivered via email, along with instructions to redeem them at checkout.